Whalenought Studios is a two-person indie RPG development studio comprised of husband-and-wife super-team Joe and Hannah. They gained renown amongst fans of 90s era RPGs thanks to their 2015 Kickstarter title Serpent in the Staglands (SitS). The game successfully raised 28K$ (on a 10K$ target) back in April 2014, thanks to Josh Sawyer and Feargus Urquhart amongst others. The game combined Baldur’s Gate-ish party-based gameplay with a dark and gritty ‘realistic’ world akin to Darklands. With Fallout-style character building flexibility and open-world exploration thrown in for good measure. Oh yeah, and it was hard as hell. The game was relatively well received by niche RPG gaming sites. Likewise, Codex members generally lauded SitS for its old-school qualities and unforgiving gameplay (although some lamented the RTWP combat and shallow C&C elements). Ultimately however it failed to garner much mainstream attention. Fast forward to May 2016, when Whalenought launched their second Kickstarter project: Copper Dreams. 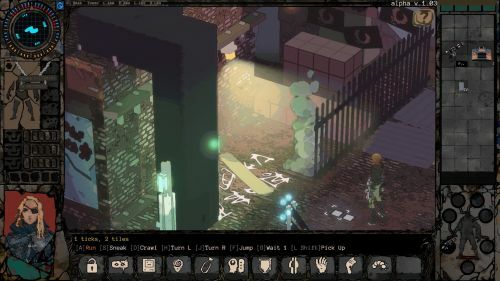 It was pitched as “…an isometric, party-based, turn-based, pen-and-paper-inspired game in a dystopian cyberpunk setting”. Think Escape from New York meets Deus Ex. 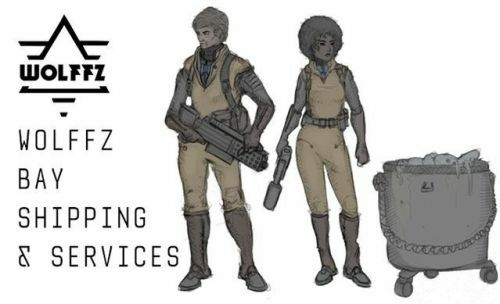 Good sci-fi RPGs are rare and the game successfully met its 40K$ goal just before the deadline, despite some last minute trepidations from Joe and Hannah. 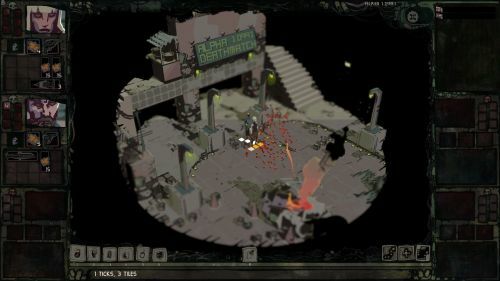 Since then, Joe and Hannah have been releasing frequent updates on the game’s development, elaborating further on setting and systems-design. It’s no understatement to say that this game has been through near-Kafka levels of metamorphosis since the Kickstarter debut. This is especially true for its graphical presentation, as noted by many Codexers over the past months. This has sparked some nervous commentary about the quality of the final game. On October 25th 2018, a major development milestone was reached with the release of the alpha build (to +35$ backers) on Steam. This impressions article will discuss my hands-on experience with the alpha since then. To manage expectations however, let me just say right off the bat that the versions released so far are still very bare-bones, and graphical alterations are still frequent with a lot still subject to change. This article is based on the alpha 1.03 (early) and 1.099.1 (April 2019) releases. That being said, let’s get the party going by summarizing the highlights of the setting before diving into the alpha itself. Copper Dreams takes place in the world of Calitana, which is an off-shore island colony owned by the US government. It is one colony in a system of several others, but apparently it is the worst, because unwanted people get sent here to do slave work and free up space in the nicer colonies. Naturally, you are one of the unlucky bastards sent to Calitana and the story starts with your space pod-thingy landing on its shores. But hey, at least you get a job as Agent of Inquiries for the Wolffz Bay Services. And your own container to live in. So things could be worse, right? As you’ll soon discover, not everything is fine and dandy on Calitana. The island is home to several syndicates that are struggling for resources and influence, and it’s up to you to carve a path for yourself. The biggest one is the Mayflower Initiative (MFI), which far surpasses the other groups in terms of technology and wealth. Initially commissioned by the US government to set up and control the factories (and people) of Calitana, the MFI is mandated to ensure fellowship and high productivity. Using guns, if necessary. Their members enjoy a luxurious life with access to fresh food and safe housing cut off from the other factions, albeit at the cost of free speech and freedom (bah, who needs those things anyway). Unfortunately, with the growing number of people drafted to go to Calitana, the MFI finds themselves surrounded by a growing population living in the ‘slums’. To maintain law and order, the MFI patrols these areas, upholding their strict code of conduct. Especially terrifying are the Copper Faces: elite cyber-enhanced guards, who moves in silence to stalk and terminate their prey. It seems these guys will feature prominently in the enemy rooster, and even stalk the player at night (after the day/night cycle has been implemented). The ‘slums’ are home to the 6 other factions struggling to survive in Calitana. The aforementioned Wolffz Bay & Shipping Services, your employer, is one of them. Originating from a family of fish-mongers, Wolffz expanded their business into shipping by navigating the canals of the city. Being smaller in size than their competitors, Wolffz apply stealth-tactics and timely use of information rather than brute force to achieve their goals. 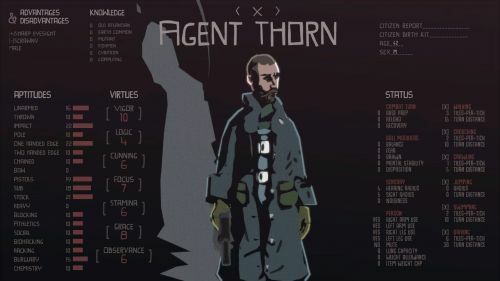 Struggling to find enough agents, the player character has been hired by Wolffz to seek intel, gather resources and protect shipments to ensure their future survival. Other noteworthy factions include Quinton Industries, an industrial powerhouse and close ally to MFI, and The Faith, a religious order that has garnered an important following due to the dire state of Calitana. Indeed, the setting seems like an interesting place ripe with factions to engage with. Hopefully, Whalenought will allow a lot of player agency and flexibility when working for/with these different organizations. Now let’s have a look at what the alpha has to offer. The first two test missions are no longer available in the latest alpha version. According to Joe, the final game will feature similar gameplay, but they are waiting to reveal how exactly (time-based?) missions will work in the more open-world setting. Bear in mind my impressions are based on an early alpha, all of course subject to change. Hopefully they still offer readers some idea of where the game is heading. Without further ado, let’s investigate the missions. The extraction mission was the most ‘complete’ mode on offer. You start at the top of a building, where some agent-dude briefs you about your mission: go extract the disc (read: floppy) from the enemy building, which you enter via the ventilation shaft. 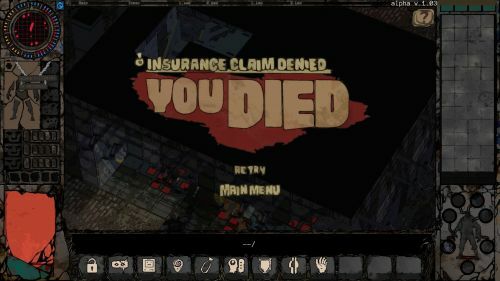 Oh, and since you forgot to submit your health insurance documents to the HR department, you’re on your own if you get seriously injured or die. The text-based briefing is accompanied by a 3D portrait and works rather well. Hereafter you are free to go about your mission. What you’ll notice straight away is the interface. On the right-hand side there's a grid-based inventory panel. Underneath it is a ragdoll on which items can be equipped. At the bottom there's a bar with all your skills (most of which are deactivated at present) and hotkeys for running, sneaking, crawling etc. At the bottom-left corner is an indication of the character’s health and just above that some body part-specific info (which is grayed out now but will surely be used later). 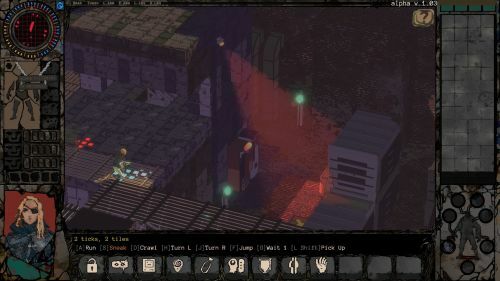 At the top-left corner is the time indicator, which is used to switch between real-time and turn-based (combat is turn-based by default). And finally at the top are the ailment indications, telling you where your character is hurt and how that negatively affects your chance to hit etc. You can access your character screen as well, displaying your skills and what appears to be some character backgrounds which might define various strengths and weaknesses for your character (similar to how it worked in Arcanum). As stated, most skills such as hacking, bio-metrics, etc are disabled at the moment. Only combat, throwing and social were usable in the alpha (although the latter didn’t have any application). From there, you are free to roam around the city and go about your mission. After crawling around the building for a while, I came across two clone-like guys that I shot. They didn’t seem to have any bearing on the mission, and both were unarmed. Otherwise, you’ll mostly meet NPCs with whom you cannot interact, but who add a nice flavor to the grim and dystopian world. There were a few motorcycles around too, but I wasn't able to mount any of them (though that is planned as a feature). 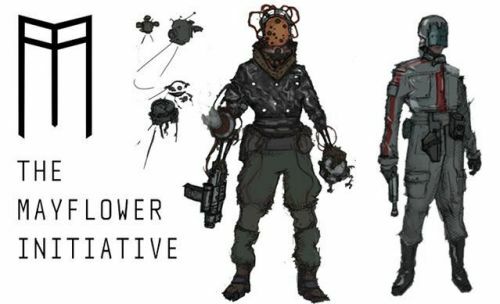 The extraction map features around 6 guards and 4-6 cyborg-like guys, which can either be ignored entirely via stealth or used as target practice. I of course had to gun them all down to test it out (see my combat impressions below). Apart from that, there’s not much to say about the extraction mission. After getting a grip on things, I managed to basically complete it within 5-10 minutes. 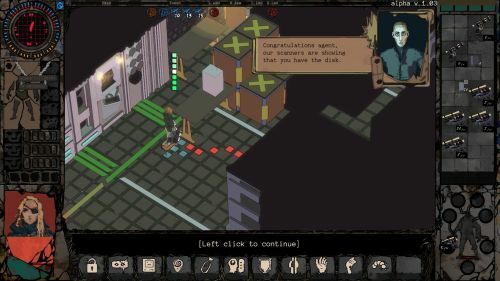 The mission ends as soon as you place the disk in your inventory, regardless of how many angry guards you have standing around you. There’s no further content besides the main mission, nor any achievements for remaining undetected or killing everybody you see. There is also a stealth mission. But let me be brief here, since there is not much substance to it. Basically, you are dropped down onto a rather tiny map, which is crawling with guards. Your goal is to get to the other side, though I couldn’t really figure out where to go exactly (it was not well-indicated). There wasn’t much of a penalty for being spotted, and because the game lacks feedback when combat is initiated it was all fairly bland. The map was beautiful to look at though, with great lighting and thick fog. Good stuff. In early April, Whalenought released version 1.099.1 on Steam, adding the deathmatch mission. This is the last step before 1.1, which will serve to further test combat, party control and different enemy types. By end of April, they plan to release the beginning of the actual game for testers to try out. In deathmatch mode, you get two characters to control, to whom you can issue orders individually or collectively. The map is swarming with enemies, but luckily both agents have guns equipped and some ammo. It seems Joe and Hannah have been busy implementing followers, and in the final version you will be able to control a party of 5 agents. Besides (another) visual change, there isn’t much new about this mode. None of the non-combat skills have been activated, so it seems this mode will be all about taking out enemies to refine combat. As mentioned in the introduction, the alpha is rather short and some game modes are no longer available. Also, it’s subject to constant change so it’s really hard to give any precise verdicts on how the final product will look like at this point. However, some thoughts can be extrapolated on what the game’s strong and weak points are in terms of atmosphere and game design, so let’s have a look at those aspects. First, let’s talk about the atmosphere, i.e. the graphics and sound design. Copper Dreams is rendered in full 3D, obviously a big change from SitS’s pixel-art style. Kudos to Whalenought is due, because they absolutely nailed the graphical style IMO. The 3D world is masterfully realized with tons of lighting sources and details like firelies, smoke puffs etc. 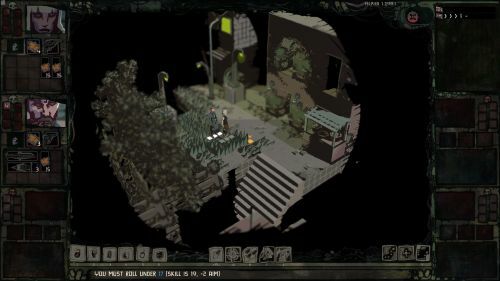 It oozes a unique style that is rarely seen in RPGs and quite frankly looks like a moving Hard Boiled comic (which is awesome, obviously). Having spent time with the game, any fears regarding its presentation have been squashed. I believe it’s a testament to how versatile the Unity Engine is when placed in the hand of skilled programmers and artists. Moreover, Whalenought made good on the promise of adding vertical freedom of movement without this becoming a hassle. I liked how getting off a ladder requires you to click the jump button + the spot you want to land on, adding some subtle player agency. I’m sure Whalenought will use this approach for puzzle-solving etc. Initially, the camera controls were annoying. Mostly because rotating the camera was only possible by holding down the mouse wheel and moving the mouse. This was cramp-inducing and seems awkward. An easy (but important!) fix would be to allow full camera-control using the keyboard, leaving the mouse free for interacting with the interface (and shooting dudes). However, version 1.099.1 already addressed this point, although limited range of sight and odd blurriness sometimes marred the experience. Another occasional problem is that buildings/bridges/etc obstruct your view when you for instance go down stairs. Whalenought obviously want the world to seem expansive by adding buildings and architecture, but they have not yet found a good way to get rid of that stuff when it gets in the player’s way. Consequently, going down stairs is frustrating because you must constantly rotate the camera around to follow your character and apply a frantic combination of zooming/rotating to get walls, bridges, platform, boxes whatever out of your way. For the final version, Whalenought should implement a fixed isometric (sorry, cavalier oblique) camera angle option, which always provides the best possible visibility (and fades out any unnecessary geometry). Again, version 1.099.1 features a fixed camera view which can be adjusted vertically, but it still seems far from perfect. Adding to the atmosphere is the soundtrack, which is handled by V-Axys (same guy who did the music for SitS). And oh boy, what music this is. When first launching the game I was blown away by this dark, ambient music that you can just loop for hours. Listening while writing this I literally kept looking up to check if the footsteps and other quirky sounds I heard were coming from the game or from real life. If the rest of the soundtrack contains the same level of detail, we are in for a treat. I hope that Whalenought will make good on the promise of a horror setting, as this music is as dark, futuristic and creepy as they come. I love it. Regarding sound design, there isn’t much to say. Basically, everything besides the music is mute for the moment: there is (almost) no gun fire, no reload sounds, no bustling from traffic etc. The only thing I noticed was a groaning sound from the guards when you kill them. I guess more will be coming later. The interface and inventory system is off to a good start, albeit not final yet. I really like how the on-screen HUD lays out everything you need without having to open additional screens to check inventory, health etc. It’s less minimalistic than other titles (even classic Fallout), but the whole thing looks good and doesn’t obstruct immersion. Yet many bizarre quirks/bugs mar the experience at present. For some reason, the throw skill activated whenever I selected weapons and reloading seemed impossible for the basic weapon type. Changing weapons requires that you first unequip your current firearm and place it in the inventory (in a free slot) etc. Also, there seem to be too many steps involved when firing a gun and leaving combat-mode seems buggy and irresponsive. In Version 1.099.1, things get slightly cluttered as we now see the entire inventory loadout of the entire party on screen at all times. The game will allow you to recruit 4 companions alongside the main characters, so there’s a lot going on. Hopefully, they will allow us to toggle the HUD to remove individual parts of the interface. The game really needs a mopping mini-game, I’m dying to clean up this mess. Speaking of guns, let’s get into combat. 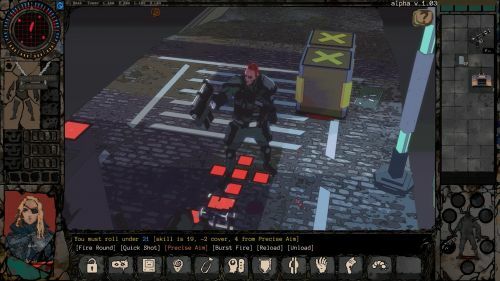 One of the novelties of Copper Dreams is its ‘strategic turn-based combat with time-based resolution’ system (Whalenought’s marketing department is working on a snappier term). It’s reminiscent of the combat in Grandia, in that turns take time to execute. You can issue actions in order of initiative, at which point time stops. But having issued your command enemies can act and adapt their action, e.g. seek cover from grenades or dodge. Actions take ‘ticks’ to execute, i.e. pulling an aimed attack might cost 6 ticks. This can create interesting dynamics, where enemies might stun you with a quick attack before you can carry out your planned headshot. So it adds an additional layer of strategic planning, with more factors to take into account before issuing your actions. In the latest version, you can even use the mouse wheel to advance time in ticks (i.e. 0.25 seconds) while watching your party members carry out their actions. It’s surprisingly cool, and especially handy for tough battles where you want to keep everything under control. Loot is basically nonexistent at this point. I managed to scavenge a few laser-SMGs from the guards and later on some knives, but I could not search or move their bodies. 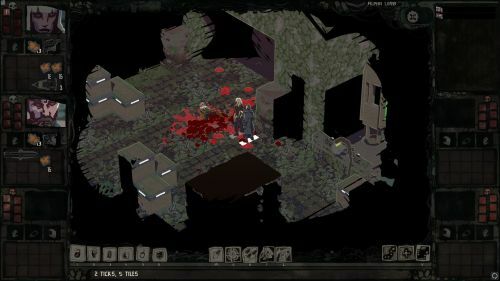 Also of interest is the wounds system. Hit points are completely absent. Instead, your character’s status is determined by the number of hits they have taken. Wounds are applied to specific body parts: head, torso, arms, and legs. The penalties you get differ depending on where you are hit. I.e. a shot to the head might decrease your chance to hit, while getting hit in the torso or legs can cause bleeding and affect movement speed. In theory this is cool, but it seems the negative effects on player characters are not fully implemented at this stage. My thoughts on combat are mixed so far. On one hand, I like how the turn-based system allows more player agency and adds depth to the classic formula, and it generally plays well. On the other hand, it still needs a lot of balancing and polish in that everything seems to happen way too fast. After you issue an action, the screen just explodes with enemies, shooting/ducking/moving at a frantic pace for a few seconds before everything freezes again. Added to this is the lack of sound effects and general feedback, meaning you are often at a loss as to how the situation is progressing. I also found it bizarre how apparently different attack types (targeted, burst, quick etc.) have identical damage potential. Intuitively, using more ‘ticks’ should result in more damage to compensate for the time needed. Fortunately, I think these issues are the fault of the game being unpolished in its current state rather than the system being inherently ‘bad’. If they manage to polish and balance it well enough, it has the potential to be interesting. I really liked the wounds system. Having no HPs seems radical at first, but the decent visual cues mean you barely notice their absence. Aiming at heads and limbs can lead to critical hits, instant kills and ‘shock-effects’ which is fun to play around with. Strangely though, it seems that applying medkits during combat costs no ticks. That means you can effectively stitch and heal up your wounds ad infinitum while the enemies politely wait around. This will surely be addressed but sticks out in the game's current state. As for stealth, it’s difficult to really assess at the moment. As mentioned, it is not possible to move/hide bodies which was a big deal during the Kickstarter campaign and subsequent updates. Character progression also remains a mystery, as it is not featured in the alpha. According to Joe and Hannah, the game will start with the player being interviewed by the government officials. This will allow you to choose background traits, appearance and stats like aptitudes and proficiencies. 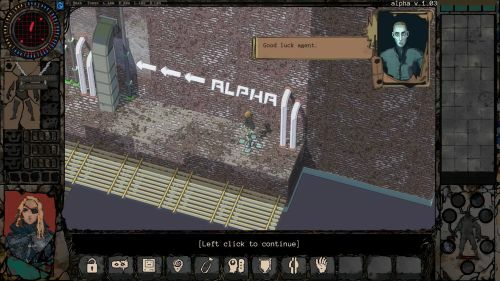 It seems like you will be able recruits NPCs as well (including mind-controlled ones), a feature which is already somewhat present in the latest version of the alpha. But your followers just drone around, so I didn’t particularly enjoy that feature. I’m slightly worried about the absence of XP points. Apparently, the goal is to scrap XP completely in favor of rewarding you with skill points for completing missions. Personally, I love getting XP both for killing enemies and completing quests. It’s a don’t fix if ain't broke issue for me, but I can see why Joe and Hannah want to try something different. Let’s hope it works out. I may have wasted everyone's time writing this preview, all of us ending up none the wiser about what the heck this game is about. I was only able to perform a limited test of its systems and RPG mechanics, with some game modes no longer available. I shall retreat to my hole; broken and defeated. Yet I felt it was worth it to at least shed some light on in which direction the development is going, even though everything’s obviously subject to change at this early stage. 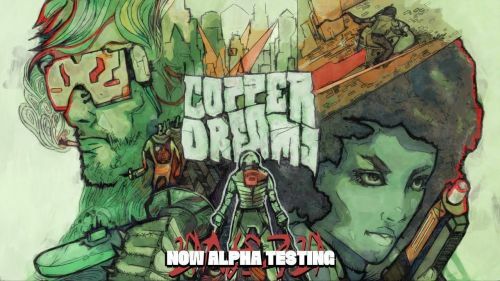 Copper Dreams is receiving a lot of attention from fans for its unique art style and setting, and for good reason. I thoroughly enjoyed the time I’ve spent with it, and honestly can’t wait to see what’s coming next. 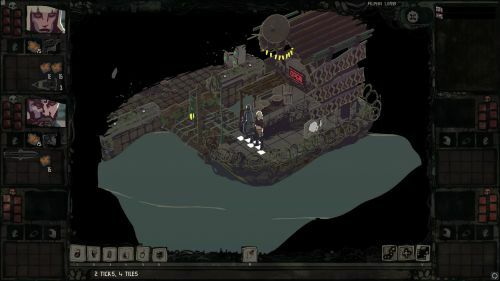 Sci-fi/horror RPGs are a rarity, and Whalenought has proven they can work magic before. Nevertheless, the game still needs a lot of work and I’m still in the dark about what exactly it will turn out to be. Just before publishing this article, Joe mentioned in an e-mail the game has an open-ended structure, and will play as a “proper dungeon crawler, something like Icewind Dale” (confirmed in the latest Kickstarter update). Not sure that was part of the original pitch but guess we’ll see more in the coming months. Hopefully things will start shaping up around by the time the beta is out. In conclusion, I’m excited to see what’s coming up. If they don’t mess it up, this one could turn out pretty great. Your move, Whalenought. Call me when the beta’s ready.